The 2018 Showbiz season comes to an epic conclusion in September with Les Misérables. Winner of over 100 international awards and seen by over 65 million people worldwide, Les Misérables is a grand and uplifting story about the survival of the human spirit. This modern classic is based on Victor Hugo’s novel and features one of the most memorable scores of all time proving that great drama never gets old. Directed by Stephen Robertson, with musical direction by Richard Marrett, this is a new production of Alan Boublil and Claude-Michel Schönberg’s Les Misérables. It will feature the set from the 2001 Showbiz production – including the famous revolve – all of which has undergone major refurbishment. 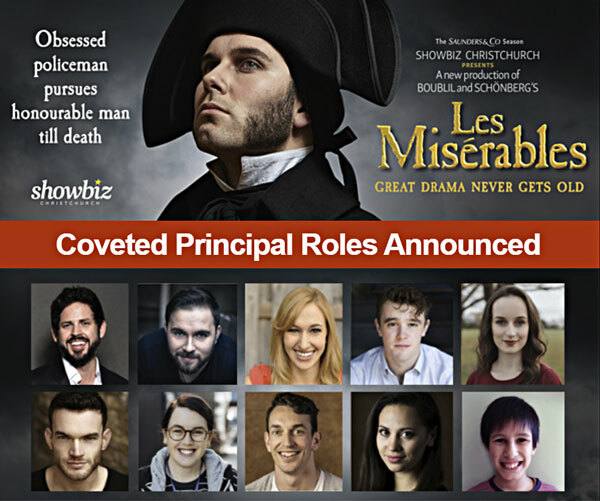 This will be Robertson’s third time directing a Showbiz production of ‘Les Mis’, and each time he manages to breathe new life, and reach new heights, with the show he has come to love and know so well. “Les Mis is big and majestic and directed like musket shot to your heart” said Christchurch Star reviewer Barry Grant of the 2001 production. The 1994 production was no less spectacular and holds the record as the largest musical ever staged by Showbiz, with the season of 33,500 seats sold out before opening night. It is the third longest running musical performed in the history of the Isaac Theatre Royal behind the J.C. Williamson production of My Fair Lady in 1962 and the 1975 production of Jesus Christ Superstar starring Jon English. Sydney Tenor Daniel Belle will perform Jean Valjean, a role he has performed ‘hundreds of times’ previously. In this new production Sydney born tenor Daniel Belle will be performing the principal role of Jean Valjean, the man at the heart of the story. In nineteenth century France, Valjean is released from 19 years of unjust imprisonment and finds nothing in store for him but mistrust and mistreatment. He breaks his parole in the hope of starting a new life, initiating a lifelong struggle for redemption relentlessly pursued by police inspector Javert. Belle has performed the role ‘hundreds of times’ in the Australian National production of Les Misérables, and in the Asian tour performing in Manila, Singapore and Dubai. 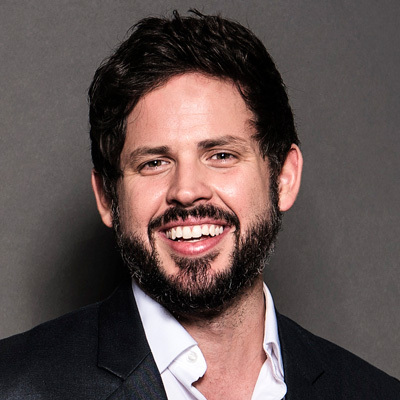 In June he performed at the Isaac Theatre Royal as part of the internationally acclaimed vocal group The Ten Tenors, which he joined in 2012 after completing studies at The Sydney Conservatorium of Music and the Australian Institute of Music. Performing in the Ten Tenors Double Platinum tour, Daniel has sung throughout Australia, Europe and The United States to critical acclaim. Performing alongside Belle are seasoned Showbiz performers: James Foster (Javert), Kira Josephson (Fantine), Fergus Inder (Marius), Jacqueline Doherty (Cosette), Jack Fraser (Enjolras), Ben Freeth (Monsieur Thénardier) and Monique Clementson (Eponine). Making her Showbiz debut is Nelson performer Rebecca Malcolm in the role of Madame Thénardier. 98 children auditioned for the roles of young Cosette, young Eponine and Gavroche who will be played by five alternating performers. Eight year old Duncan Price and 11 year old Ethan Carranceja (Southern Ballet) will perform in the role of Gavroche. Nine year old Lavinia Sutherland and eight year old Isla Palmer (Anna Lee School of Dance) will alternate the role of young Cosette. All are new Showbiz performers with previous performance training and/or experience. The role of young Eponine is currently still being cast. The ensemble consists of: Mitchell Anderson, Samuel Baird, Katie Beer, Liam Braithwaite, William Burns, Sam Burt, Philippa Chilvers, Roz Ellis, Paul Fidow, Jack Hanrahan, Catherine Hay, Simon Heeringa, Anna Henderson, Bryony Jamison, Andrea Koorey, Jack Marshall, Tara Martin, Laurel Rose, James Shera, Claire Steel, Chris Symon, Lorraine Turner, Chris Walker, Matilda Wickbom & Elliot Wood.